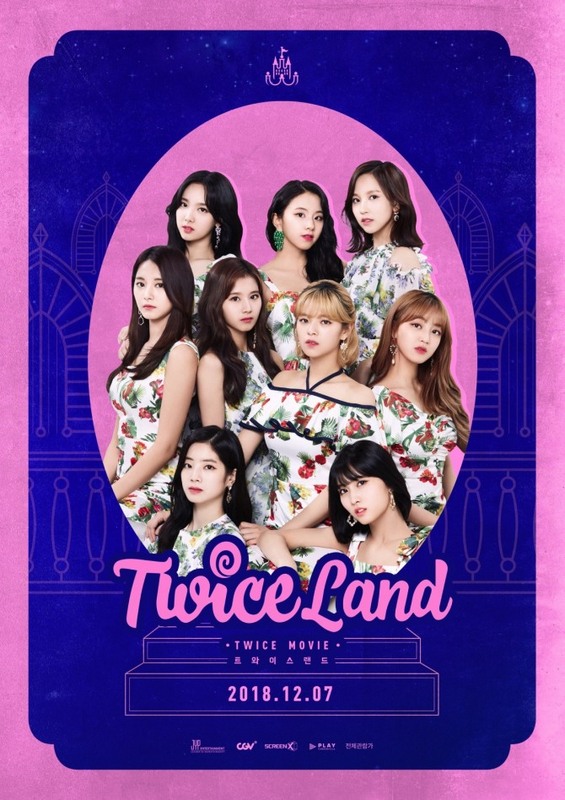 K-pop girl group Twice’s concert documentary film will be available in Canadian and US theaters for a limited one-week run, catering to the act’s worldwide fan base. Distributor CGV announced Thursday that “Twiceland” will premiere in the US and Canada as well as Korea. The movie is scheduled to hit theaters globally Friday. Fans in Korea and the US will be able to get the Screen X experience, a panoramic 270-degree screen bound to make the audience feel like they’re physically at the concert. Seven Screen X multiplexes in the US will provide the film. 4DX USA uploaded a tweet that said, “It’s the sound of #Twice coming to Screen X theaters 12/7!” and listed Union Square, Thorton Place, Atlantic Station, Irvine Spectrum, Hacienda Crossings, Pinnacle Stadium, and South Beach as the specified cinemas. During the film, Moviegoers will get a sneak peak of “Be as ONE (Korean Ver. ),” a B-side track for “The Year of ‘Yes,’” slated for release Wednesday. Prior to its release, “Twiceland” already ranks sixth on CGV Korea’s movie charts, as of Thursday at 4 p.m. It is set to premiere in Southeast Asian countries in January 2019.